Without question, the Hollywood Walk of Fame is Hollywood's most popular tourist attraction. Started about 55 years ago, the Hollywood walk of fame has become Hollywood’s most popular attraction. 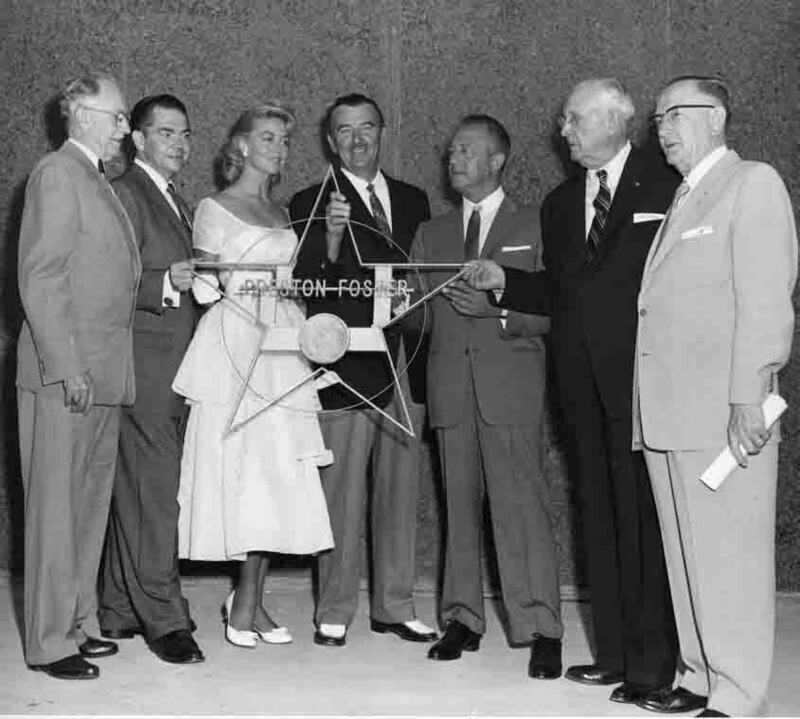 The Hollywood Chamber of Commerce credits E.M. Stuart, it's president in 1953, with the original concept for creating a Hollywood Walk of Fame. Stuart, normally called Mac, proposed the Walk of Fame as a means to maintain the glory of a community whose name means glamour and excitement in the four corners of the world. Harry Sugarman, another Chamber member and president of the Hollywood Improvement Association, incorrectly received credit for the concept. With its paint flaking and rust marring its letters, the non-profit Hollywood Sign Trust decided it was time to attack the problem. "It's going to give it more life, it's going to protect it from rust and other challenges," said Tom LaBonge. "It will give it a lot of years. It's getting a facelift." That work began Oct. 2 and now, more than a month later, the painting crew says they're about finished with the last few letters. 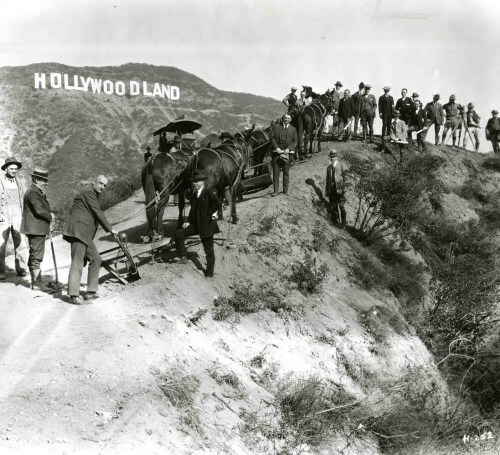 The Hollywood Sign was built back in 1923 and it originally read Hollywoodland. After several renovations, the old sign was town down and a new one built in 1978. Now, 10 guys, strapped into scaffolding, are trying to get nearly 35 years worth of paint off the corrugated metal letters. 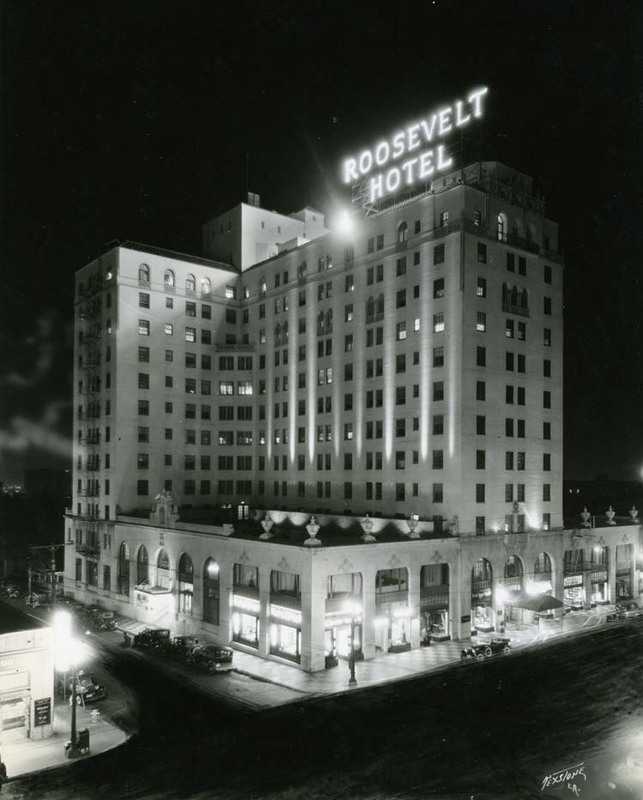 The Hollywood Roosevelt Hotel was the site for this years Hollywood Chamber of Commerce news conference to announce the 1913 Hollywood Walk of Fame inductees. These individuals, of the entertainment industry, are skilled in the category for which they were nominated. These categories include, motion pictures, television, radio, recording and live performances. These recipients were among hundreds of celebrities, whose names had been placed in nomination, over the past several months . Hollywood Walk of Fame Repairs Continues. Repair work continues in the world-famous Hollywood Walk of Fame. The work, which began in September, 2012, is led by the Hollywood Historic Trust. The first area to be repaired is on the north side of Hollywood Blvd. west of Highland Ave. The work proceeds west to the area in front of the Dolby Theater (formerly the Kodak Theater). The first couple of phases are scheduled to be completed before the end of the year. The third phase is going to be delayed until March 2013 so as not to interfere with the holiday season and the Academy Awards, which are held at the Dolby Theater. After several years of wrangling and negotiating with Los Angeles’ Board of Public Works, the Hollywood Chamber of Commerce is finally able to spearhead the repair of several areas of the Hollywood Walk of Fame. The area that is need of the greatest amount of repair is on the northwest corner of Hollywood Blvd. and Highland Ave. For several years, the Walk of Fame Terrazzo in front of the popular Hollywood and Highland shopping center as been in terrible disrepair. Most of the damage was caused, several years ago, when the Metro system was installed below the streets of Hollywood. Over the course of the past few years, patching was done but it never was permanent. An terrazzo expert, Fritz Iselin, was brought in to analyze the problem and make suggestions for a permanent repair solution. Work is to begin within the next few weeks. The most amazing collection of Hollywood Walk of Fame photographs is on the hollywoodphotographs.com web site. There are almost 800 photographs of the famous ceremonies that take place in Hollywood every month. 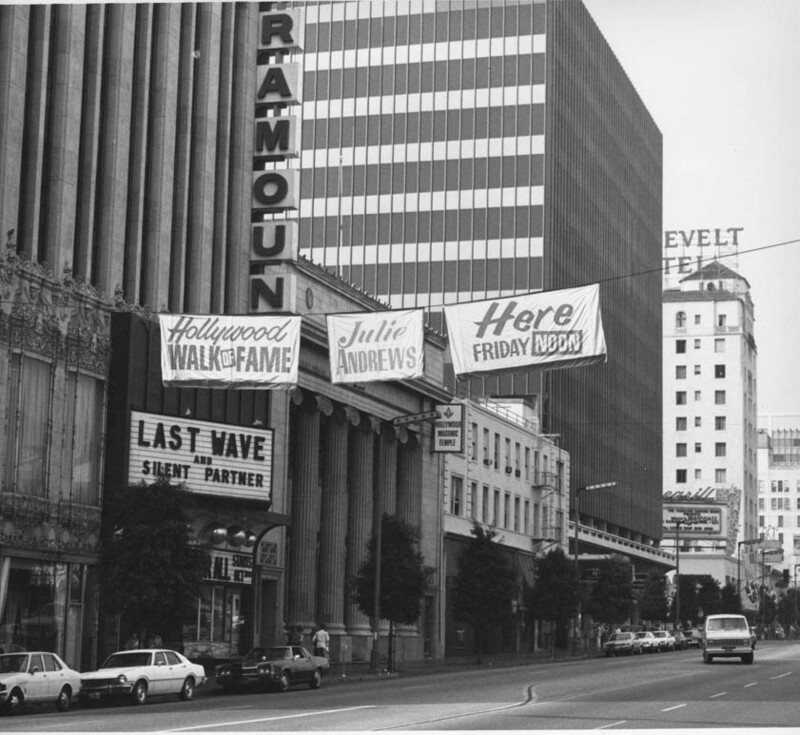 After the first eight stars were laid at the northwest corner of Hollywood Blvd. 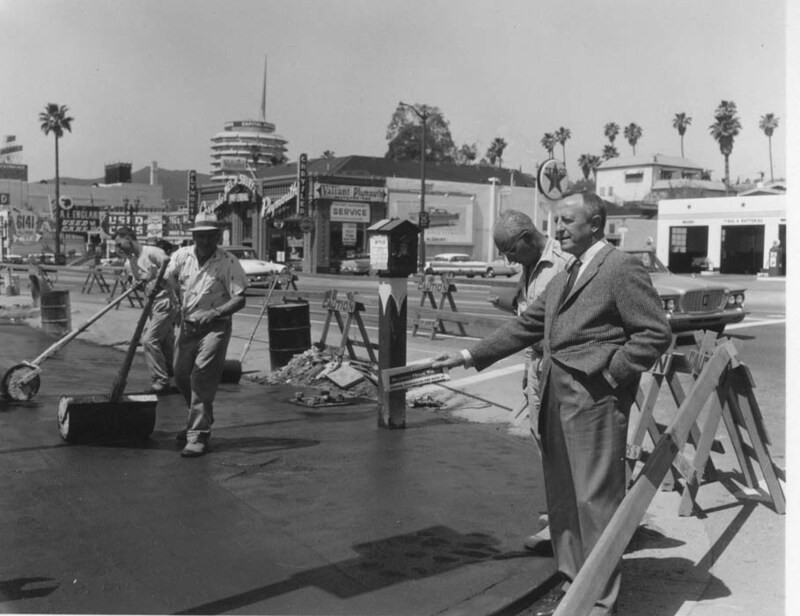 and Highland Ave., in 1958, the official groundbreaking ceremony took place in 1960, near the corner of Hollywood Blvd. and Gower St. Shortly after the groundbreaking ceremony, about 1700 brass stars were installed in the new terrazzo sidewalk on Hollywood Blvd. and other side streets. If your are looking for Hollywood Walk of Fame photographs, look no further. The largest collection of photographs of the Hollywood Walk of Fame is on the hollywoodphotographs.com web site. With almost 800 Hollywood Walk of Fame photographs, you are bound to find the photo you want. Those who are fans of entertainment celebrities, will be interested in seeing fabulous Hollywood Walk of Fame photos on the www.hollywoodphotographs.com web site. Started by Bruce Torrence, this web site has the widest selection of Hollywood Walk of Fame photos than any other website on the internet. You can order digital images or have them print 8x10, 11x14, and 16x20 photos. No matter which size you choose you can easily create your own collection of photos from the Walk of Fame. When the star on the Hollywood Walk of Fame is laid for The Muppets, Ana Martinez will once again be working behind the scenes as curator-in-chief to the iconic attraction. The Walk of Fame is one of showbiz's most visible landmarks,and Martinez has been its inconspicuous producer for almost half the attraction's 51 years, making sure the constellation of stars is perfectly aligned on the Hollywood sidewalks. The largest collection of Hollywood photos, hollywoodphotographs.com, has just placed an additional one hundred Hollywood Walk of Fame images on its web site. There are now more than 500 Walk of Fame photos on the site for viewing and purchasing. 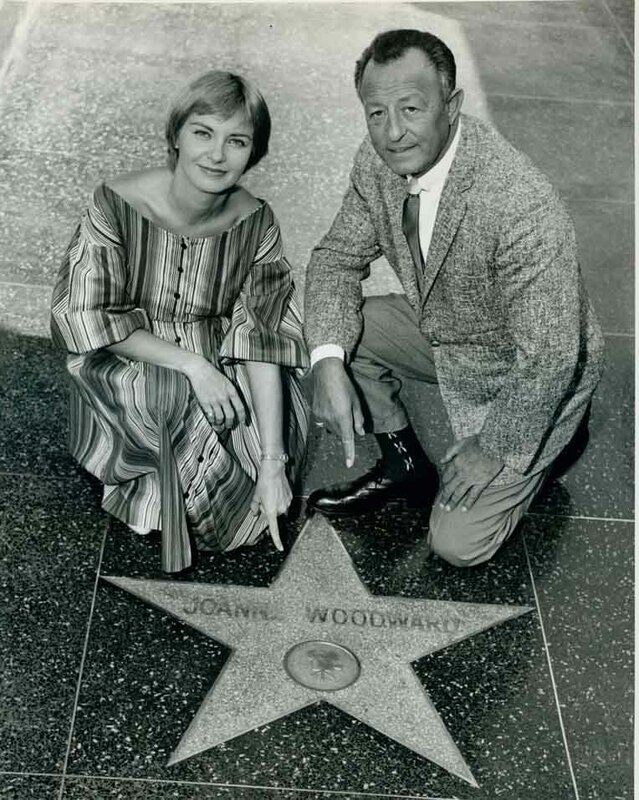 The first Hollywood Walk of Fame photograph was taken in September, 1958, when Joanne Woodward posed by her newly installed star at the corner of Hollywood Blvd. and Highland Ave. The last inductees were husband and wife, William Macy and Felicity Huffman whose ceremony took place on March 7, 2012. They were the 2463rd and 2464th celebrities have their names placed in the famous Walk of Fame sidewalk. The Hollywood Chamber of Commerce honored actors Felicity Huffman and William H. Macy with a rare double ceremony at 7060 Hollywood Boulevard at Gateway to the Walk of Fame at La Brea on Wednesday, March 7, 2012. Emcee Leron Gubler, President/CEO of Hollywood Chamber of Commerce and guest speakers David Mamet and Aaron Sorkin helped unveil the 2,463rd and 2,464th stars in the category of Television for Felicity Huffman, and Motion Pictures for William Macy. This is only the second time a married couple has been honored with double stars on the Walk of Fame on the same day. *The first couple honored with stars on the same day are film producers Lauren Shuler Donner and Richard Donner on October 16, 2008. When you want to add some personality and flair to your home, you may want to consider Hollywood Walk of Fame images and other such memorabilia. These are a great addition to a home theater or family room or den, and they come in a wide variety of sizes and styles. 'Two and a Half Men' star Jon Cryer received the 2,449th star on the Hollywood Walk of Fame today, hours before its ninth season premiere on CBS. Series creator Chuck Lorre, actor-director-producer Carl Reiner and 'Wipeout' host John Henson joined Cryer in speaking at the late-morning ceremony next to Hooters on Hollywood Boulevard. Born April 16, 1965, Cryer made his first commercial when he was 4 years old, alongside his mother, the writer and actress Gretchen Cryer.